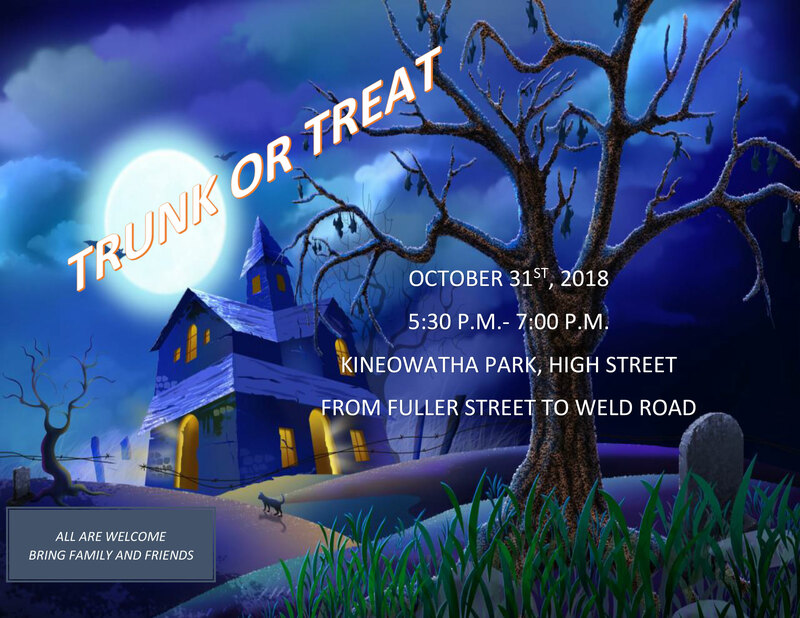 Join us on October 31st for a trunk-or-treat from 5:00pm to 7:00pm at Kineowatha Park (from Fuller Street to Weld Road) – for a spooky good time! All are welcome. Bring friends and family. See you there!